One of the more popular water-pipes is the stand-up Sherlock bubbler. 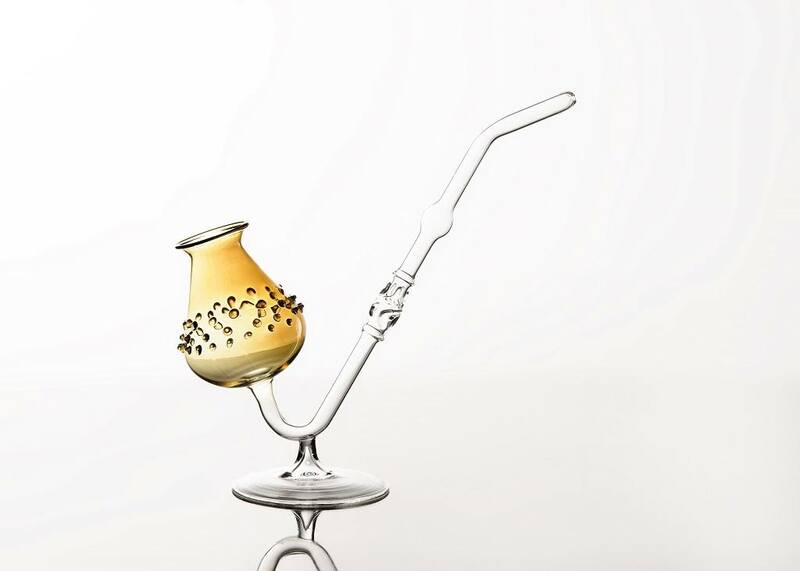 This unique glass smoking device gets its name from the similarity to the large pipe that Sherlock Holmes would use to smoke his tobacco. The portable pipe is easy to handle, comfortable to hold, and simple to pass around to friends at the party. The Sherlock bubbler is truly a work of art, complete with different swirling color glass, long and slender stem that leads to a decorated bowl. The elegant curves of the bubbler make it very comfortable to hold for long periods of time, and the deep chamber holds just the right amount of water to properly cool the smoke before it travels up to the mouthpiece. 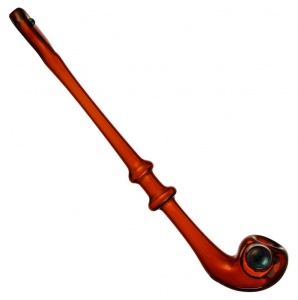 Similar to the pipe that Sherlock himself used, the bottom is flat so you can place it on a table safely without it tipping over. One of the reasons this bubbler is so appealing is the fact each is hand blown and no two glass pipes are going to be identical. This one-of-a-kind water-pipe also have fumed glass that will change colors as the heat builds up inside. The color will change over time as you use it, creating a different look over time. Cleaning can bring back the original color, or you can enjoy the changes as you smoke. The bubbler is small enough to take with you, balanced perfectly to provide adequate water filtration even on the move. This no-spill bubbler is perfect for passing around at the party to people who may not have the greatest hands and tend to slip up or get wobbly when they smoke. The Sherlock bubbler was created to make your smoking experience as simple as possible. Durability is a plus, hand-crafted by skilled professionals so that the water-pipe will not break easily. The unique design of the pipe will not contaminate your stash when smoking either. This amazing little smoking device was created to allow the user to handle with one hand. Simply light the stash in the bowl, inhale through the mouthpiece, and draw that smoke into the water. The water in the lower end of the Sherlock will cool and filter any contaminants out of the smoke, then allow clean and cooler smoke to flow directly to the mouthpiece. This provides both a healthy and heightened smoking experience. In order to maintain the original color of your pipe and to keep contaminants from building up inside, cleaning is recommended. To properly clean your new Sherlock bubbler you will need a few things before you get started. First, run some warm water through the water-pipe for a couple minutes. Fill a Zip-Lock plastic bag with warm water and two tablespoons of salt. Place the pipe into the baggie so it is completely submerged, shake, then let sit for two minutes. Remove the water-pipe and then rinse under warm water. Now remove the contents of the baggie and pour some rubbing alcohol into the baggie and place the pipe in again. Shake, soak, and rinse like before. Repeat the last step a few times and your Sherlock bubbler will look like new again. Photo from: Digital21 / depositphotos.com.